Get involved in the adventures of the aromatic expedition of Denver Blue Sport Deodorant, which sets you apart from the crowd with a bold and alluring fragrance. This engaging deo-spray lasts long and exuberates a charming perfume. 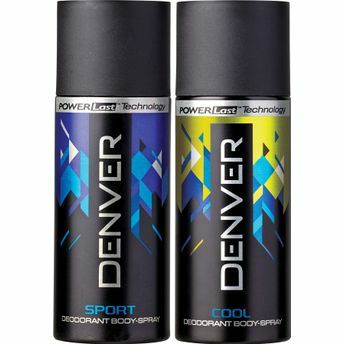 Additional Information: Denver offers a range of wide products like deodorants, perfumes, haircare and skin care, which are specially designed for men giving them a lasting scent and replenishing sense of purification and liveliness. Denver Blue Sport Deodorant lets you experience a fresh and aromatic aura leaving you active and rejuvenated.